Over the past two months, the country of Belize has been blessed with the generosity of some dedicated healthcare professionals from the United States who are volunteering their time to help the people of Belize. First it was the Belize Mission Project working with the people in San Pedro and Caye Caulker, and now it’s School Bells. On November 11-21, 2009, a group of American physicians, dentists, and other health care professionals will be visiting and volunteering their time and expertise to benefit the community of Placencia, Seine Bight Village, Mango Creek and Monkey River centers. 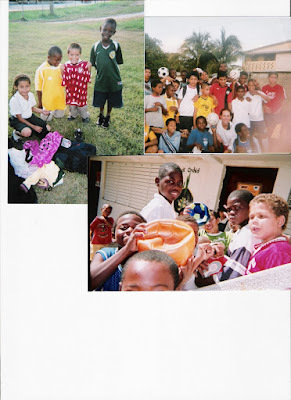 School Bells, Inc. is a humanitarian non-profit 501(c) 3 organization. Their goal is to facilitate opportunities in under-served communities in Belize; as part of their humanitarian mission they will be providing free dental and medical care to people in these communities who cannot afford this necessary care. For several years they have been servicing the country of Belize with medical and dental care. They have serviced the Belize, Orange Walk and Toledo Districts, with dental and eye care as well as general health screenings. Dental checkups include cleaning, filling and extraction. All medications and services provided to the communities are free. The Medical Task Force Team is made up of volunteers from different parts of the U.S. The group consists of Pharmacists, Pediatricians, Dermatologists, Dentists, Emergency MD, Family Doctors, Internists, OB/GYN MD, Drivers, Handlers and Registration Personnel. There will also be a demonstration of CPR for those who wish to learn. The clinic will be fully equipped with modern dental equipment and supplies, all generously donated by health care professionals in the USA. 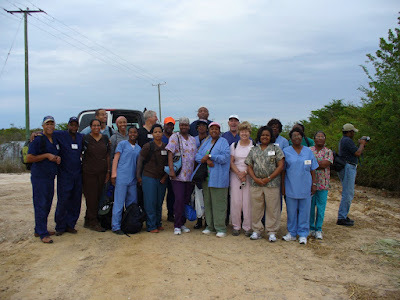 The Rotary Club members of Placencia and other village residents have volunteered to work hand in hand with the medical team. High school students from Mango Creek, Independence High School and a nursing student from Dangriga have volunteered to help to make a difference in their community. These students will receive volunteer credit hours for their time working with the team. 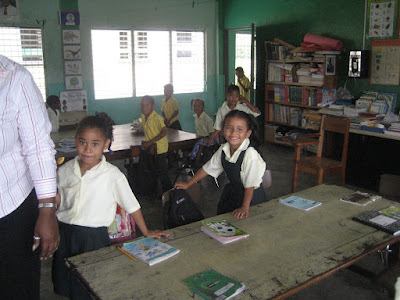 The volunteers will be going back to Belize on December 5th-12th, 2009. This time they will be in the Belize District and will be servicing the villages of Crooked Tree, Maskall, Burrell Boom, Hattieville, Burmudan Landing and other surrounding villages. 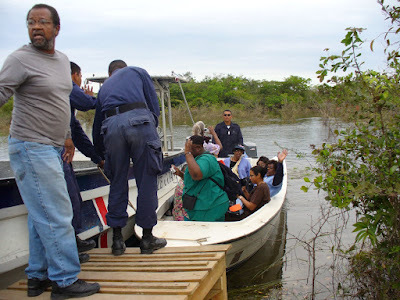 Last year over 1000 persons were treated in the Belize District. While the medical work is taking place, the athletic director will be training the soccer coaches at Zion Park School in Maskall, St. Mark and Our Lady schools in the Toledo District on the fundamentals of coaching. The educational director will also be conducting a teacher’s and Principal’s workshop in the Toledo and Cayo Districts. 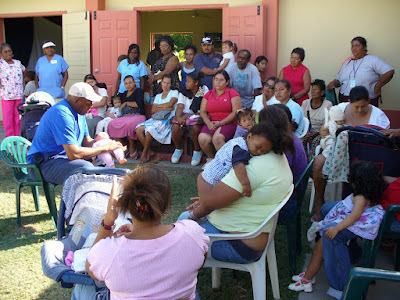 This same workshop was conducted in Belize City in May, 2009. 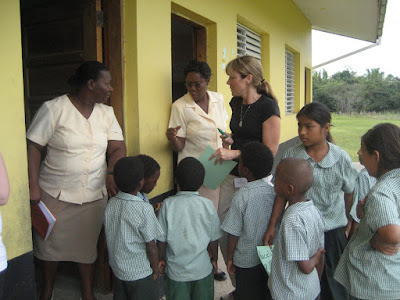 Mrs. Yvonne Bridges, president of School Bells said that the clinic will be around for a long time and she emphasized that the group will continue their work in Belize as long as the services are needed and requested. Mrs. Bridges will be in Placencia training volunteers before the team arrives. Her hopes are to help encourage Belizeans to become volunteers in their country; to give Belizeans an opportunity to learn new skills, and to build self-esteem to become more successful in their dreams for a better tomorrow. We applaud the incredible dedicated volunteers who care deeply for the people of Belize and encourage the community to assist this program in any way possible.